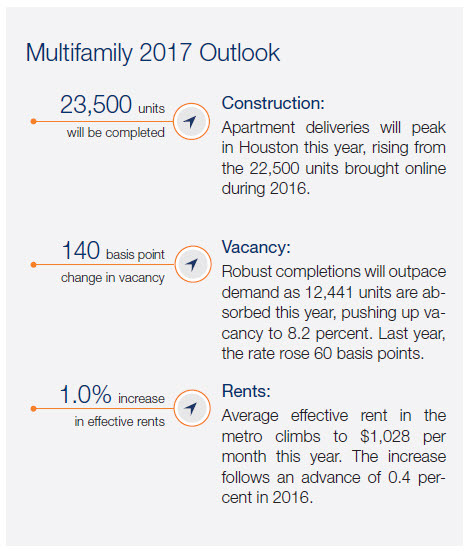 ​​HOUSTON – Rising energy prices have meant more hiring in energy-related industries, boosting demand for local ​Class B and C apartments. In its latest multifamily market report, Marcus & Millichap says Class C vacancy remains the tightest, hovering in the high 5 percent area. As a result, effective rents for Class B and C units continue to rise, with Class C properties recording gains of more than 3 percent in each quarter since the energy downturn.